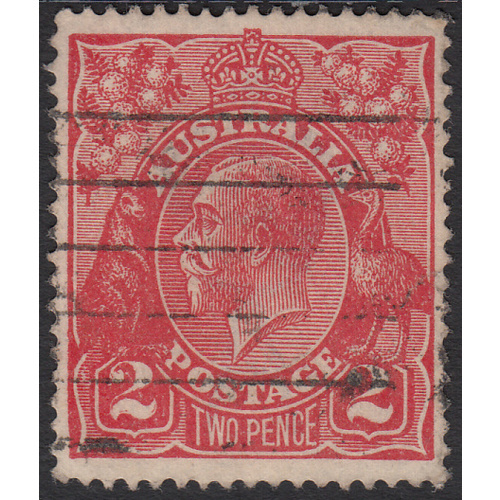 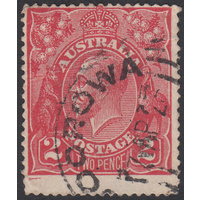 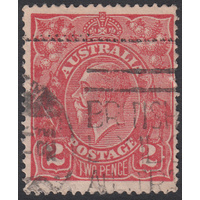 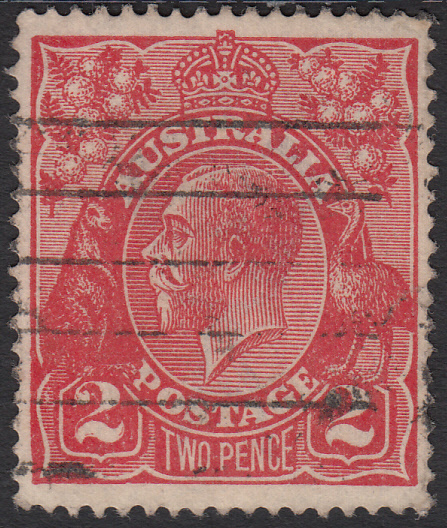 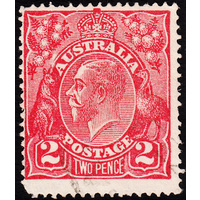 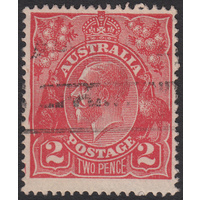 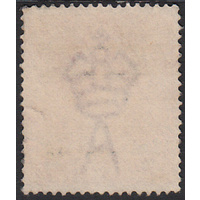 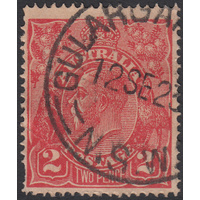 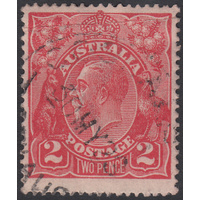 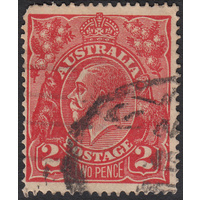 Australia KGV 1922, 2d Red, Single Wmk, variety 12L55, (Flaw on ball of "2" in Left Value Shield, and flaw on 'Roo's foot) in Good Used condition with some blunted perforations. 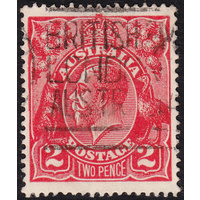 Well centered with a machine cancellation passing through a small part of the variety (which is still clear) and clear of the second indicator. 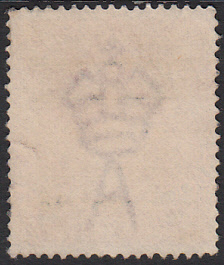 BW 96(12)i.